Some experts say that television, computer use and video games can have positive affects on children. Young children can learn the alphabet through educational TV shows. Older children can practice math skills on the computer and use the Internet to research for homework. Video games can improve coordination. However, according to other experts, the realities are that children are not watching only educational TV, and are instead getting too many violent and other negative messages from TV and video games. They are not using the computer primarily for education. Overall, the disadvantages of media exposure on children far outweigh the benefits. Two-thirds of babies and toddlers watch about two hours of TV or video every day, according to a 2008 Kaiser Family Foundation study. 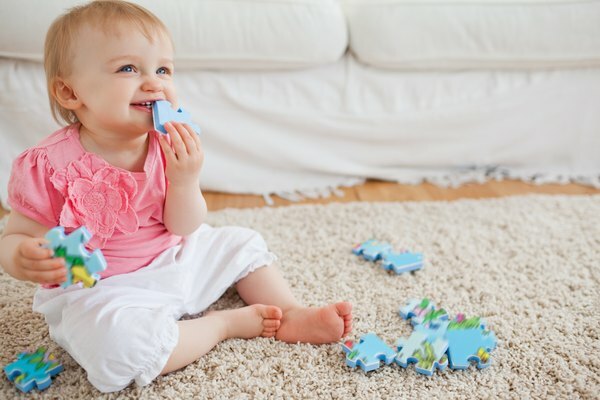 The American Academy of Pediatrics recommends that babies and toddlers age two and younger do not watch any TV or videos, because it keeps them from exploring, questioning, learning and interacting with people, all of which help develop their brains at an age where development occurs rapidly. While the American Academy of Pediatrics recommends that children of any age older than two watch no more than one to two hours of electronic media, the Kaiser study found that the majority of children watch about four hours of TV and spend another one to two hours playing video games or on the computer, not doing homework, but chatting with friends or looking up fun topics. According to a 2004 survey conducted by InterMedia Survey Institute for UNICEF, the lack of quality programming and the nature of children to believe and assimilate what they see have given electronic media an unnatural influence on children's beliefs at the expense of such more positive influences as family, school and religion. Children develop distorted views of reality, negative self-images, and an emphasis on glamour and celebrity rather than service and community. One of the most devastating effects movies, TV and popular magazines have on teens regards their body image. According to the National Institute on Media and the Family, at age 13, 53 percent of girls say they're unhappy with their bodies. By age 17, 78 percent feel that way. According to the American Psychological Association, violence in TV, movies and video games has several effects on teens. It can make them more fearful, more aggressive, and less sensitive to the feelings of others. In general, as the UNICEF study reports, the media make teens value trivial and self-centered ideals such as beauty, promote negative stereotypes and encourage teens to follow what they see rather than think for themselves. A large area of concern when children are too heavily involved with electronic media is what they are not doing instead, according to the American Academy of Pediatrics. When they're watching TV, playing video games or on the computer they're not reading books, doing schoolwork or studying, interacting with family, getting exercise, practicing a sport, enjoying a hobby or learning a new skill. As a result, children who spend too much time on TV, video games and the computer tend to have poorer reading abilities, to be overweight, to have less interest in other activities and, according to the UNICEF study, have less satisfying relationships with their families.